Isezakicho Dori, Yokohama, Japan, 20th century. According to one source I mentioned in my book on The Japanese Foreign Exchange Market, the first foreign bank in Japan was the British Hong Kong and Shanghai Bank which came to Yokohama in 1865 opening a branch one year later with other activities in Kobe, Nagasaki and Tokyo (1924) following. Tamaki referring to another source dates the activities of the first foreign banks to early 1863, when the Central Bank of Western India and the Chartered Mercantile Bank of India, London and China – which had been acquired by the Hong Kong and Shanghai Bank in 1859 – arrived in Yokohama. – and the French Comptoir d’Escompte de Paris in 1867. Chartered Bank established its Yokohama office in 1880 focusing on silk trade. It was only in 1949 that the Ministry of Finance granted it a business license to conduct banking operations. Sailing ships in the Japanese port of Yokohama, circa 1865. Finance followed trade. 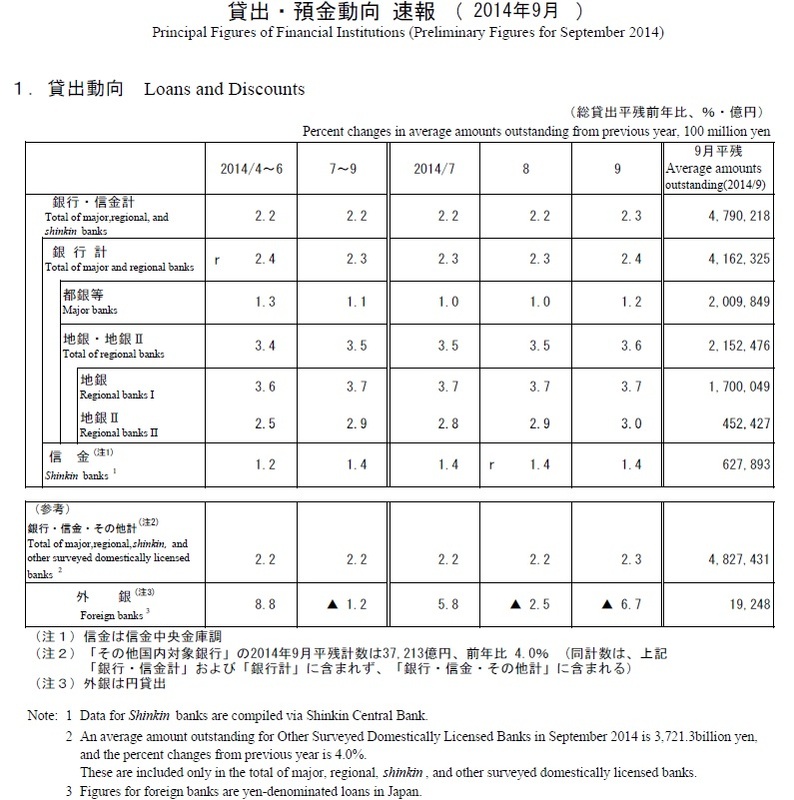 Besides western bankers “did not immediately see any profitable business in Japan” as Norio Tamaki noted. In these early years, activities were limited to accepting deposits, granting advances, and, above all, to foreign exchange services, which domestic money exchange houses (ryogae) were unable to offer as they lacked the worldwide net of branches, agencies and correspondents of Western banks. The first US bank which established a branch in Japan was the International Banking Corporation (IBC) which opened in October 1902 in Yokohama. In 1915, IBC was acquired by Citibank which much later became one of the biggest and most active foreign banks in Japan. View of Shinjuku from the Tokyo Government Building. Today, the aims of IBA Japan are to act as an intermediary between foreign market participants and Japanese authorities as well as other – national and international – stakeholders, and to offer a forum for information exchange, communication and networking. But its members include a growing line of foreign banks that in recent years have been shrinking their operations in the world’s third-largest economy. Aerial view of Tokyo Station Marunouchi side in the late afternoon. The Financial Times observed that, in parts, the decline reflects a broader trend among western financial institutions to cut headcount, shrink overseas operations and focus resources on markets where they have competitive strengths. On the other side, there are also western institutions which increased their Japan business in recent years. 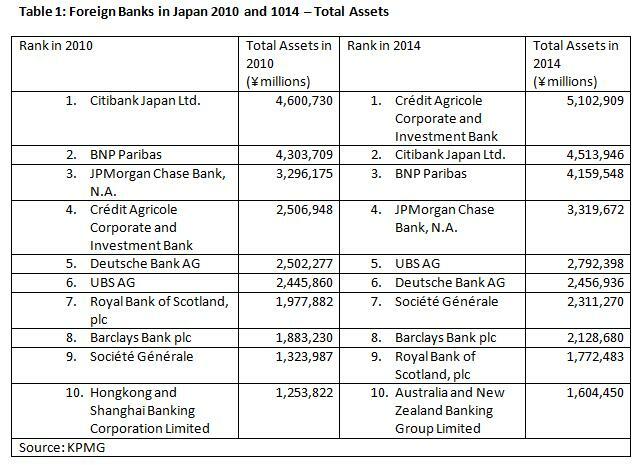 The following table shows the resulting shifts in the Top Ten foreign banks ranked by assets between 2010 and 2014 (source: KPMG). But, in particular in Japan, size does not tell much about profitability. 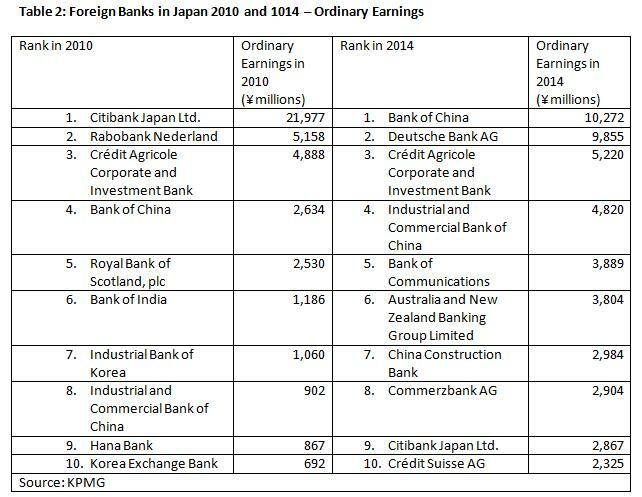 Some banks at the top of the list experience declining earnings, and the list of the Top Ten foreign banks ranked by ordinary earnings (Table 2) indicates that there are smaller competitors which are more successful in their core business. Thus, the overall impression is a mixed one. However, a glance at the foreign bank presence in other world financial centres indicates that indeed there are massive problems made in Japan. The “just under 60” foreign banks of IBA Japan are in strong contrast to the 120 foreign banks in Singapore, 191 members of the Association of Foreign Banks (AFB) in the UK or the more than 200 members of the Association of Foreign Banks in Germany. Actually, a growing number of financial institutions seems exactly to be doing this. DTCC Data Repository (Japan) K.K.